In 2011 we were asked to make a loon panel for the Order of the Eastern Star to be used as a gift to the Worthy Grand Patron of Alberta. This panel was approximately 12 inches wide by 9 inches high. For the hills we used Uroboros Harringbone glass. 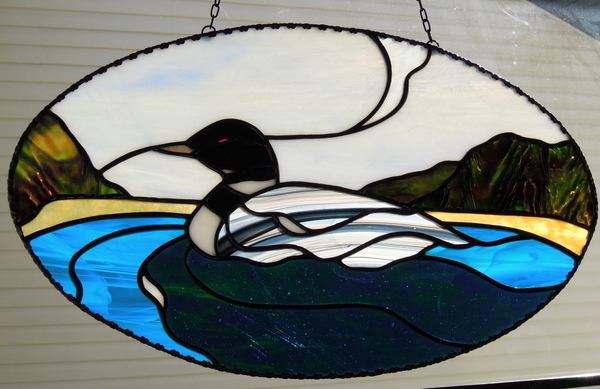 The loon was cut from one piece of Spectrum’s Black/White Clear Baroque. 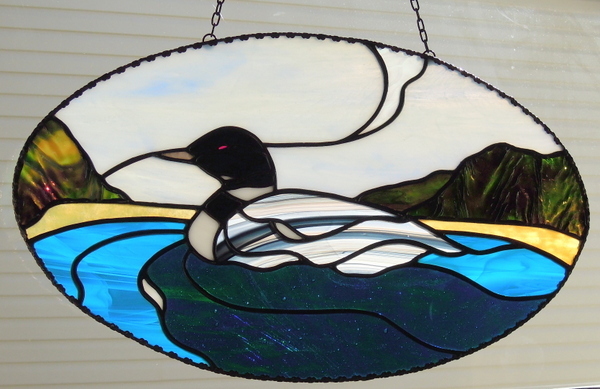 The dark water under the loon was a piece of Kokomo with Spectrum Sky Blue Wispy for the rest of the water. 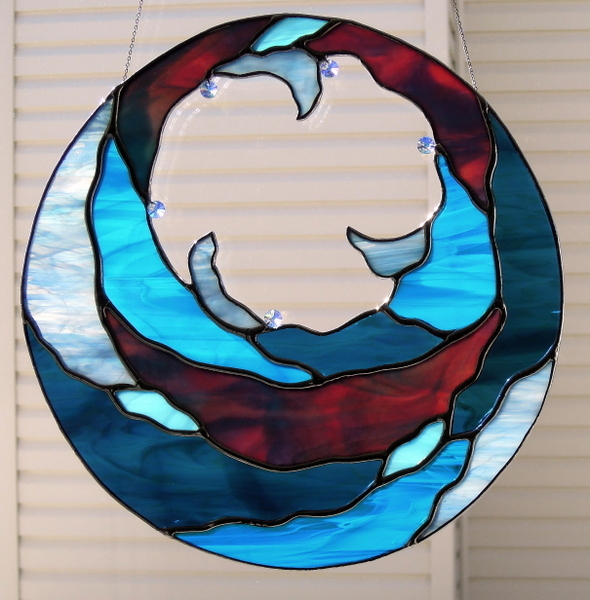 We just finished this stained glass piece titled “Surf”. We obtained the design from our long time friend Edna when we were in Medicine Hat last August. 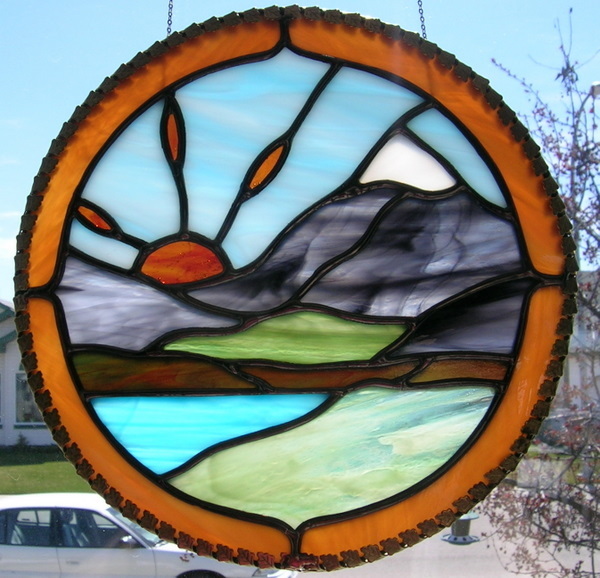 We reduced the design to about 10.5 inches in diameter. 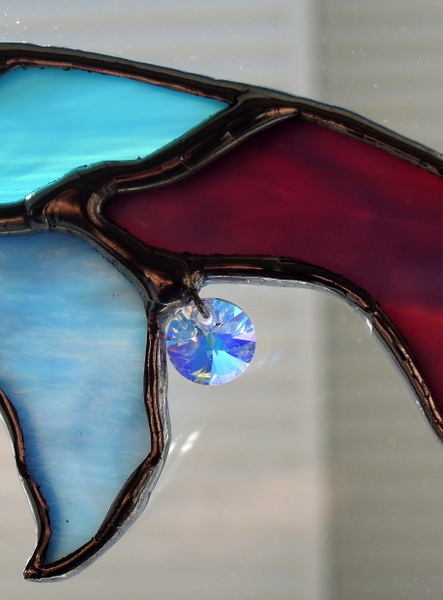 We decided to put Swarovski Crystals in the piece instead of colored glass nuggets. 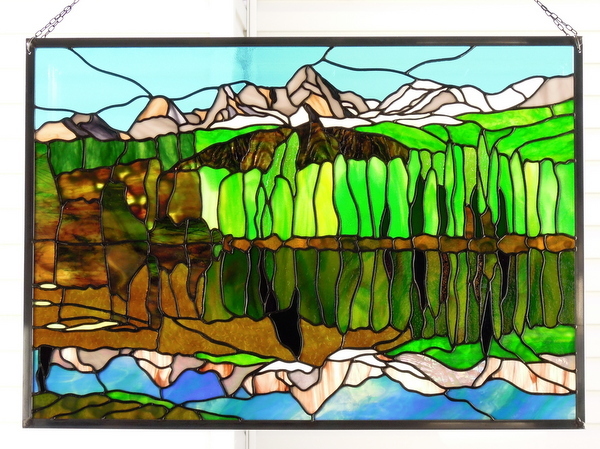 This stained glass item will in the next week or so, be delivered to The White Raven Emporium in Didsbury, Alberta where it will be on display and available for purchase. All of the blues are various Spectrum glass and the reddish-blue pieces were from a very beautiful sheet of Bullseye Glass that we have had for sometime. This next picture shows a close up of the Swarovski Crystal, these crystals are made in Austria. These particular ones had a very small hole in each where we then used a small wire that allowed us to solder each crystal into the various solder seams in the piece.